Over a billion people and the rising tiger economy of the last few decades is transforming itself into something truly amazing. China is also trying to transform its image too in relation to corruption and heavy handedness. China may not be everybody’s favourite regime, but the country itself is a great tourist location and the Chinese are trying very hard to develop China as the must place to visit. It is possible that China had some form of ape life over a million years ago. As far as man is concerned we have existed in China for thousands of years and China has been the centre of commerce and innovations many times. In short China has so much history it would take many books just to touch the surface of it. China has so much to offer tourists who like to immerse themselves in the history and traditions. But China is huge with 15000 miles of coastline and has around 10 million square kilometres. In 2010 a 2,400-year-old pot of soup was unearthed in Xi'an, China. The mortar used to bind the Great Wall’s stones was made with sticky rice! Developed about 5,000 years ago, the earliest chopsticks were used for cooking, not eating. Half of all pigs on earth live in China. So, where in this huge country do you visit? In the eyes of most travellers, you haven’t been to China if you haven’t climbed the Great Wall. The Terracotta Army in Xian has laid underground for more than 2,000 years. However, in 1974, farmers digging a well uncovered one of the greatest archaeological sites in the world. In 1987 it became World Cultural Heritage. 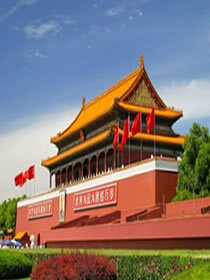 The Forbidden City in Beijing was the imperial palace of the Ming and Qing Dynasties for 560 years till 1911. 24 emperors lived there. World Cultural Heritage, and now known as ‘the Palace Museum' among Chinese, it is a treasure house of Chinese cultural and historical relics. In east China, close to Shanghai and Hangzhou, Yellow Mountain Scenic Area woos travellers with its five wonders: sun rises, seas of clouds, oddly-shaped rocks, twisted pine trees, and hot springs. The Yellow Mountains are the most famous peaks in China, and one of China's three best national parks — the other two being Zhangjiajie National Forest Park and Jiuzhaigou National Forest Park. Compared to the two other national parks, Yellow Mountain National Park is easier to access, and, naturally, more popular and busy. The Bund is one of the most recognizable architectural symbols of Shanghai. It showcases the world with its colonial European buildings and skyscrapers the other side of the Huangpu, housing one of the world's foremost business districts. Hangzhou is renowned as China's "paradise on earth" owing to its beautifully crafted landscape. West Lake was created after the Chinese love for garden-style parks for recreation. West Lake is a place of tranquillity where urbanity becomes a silhouette on the northeast horizon and mountains near and far surround it on the other three sides. The occasional pagoda and Chinese-style arched bridge add atmosphere to the tree-lined walkways, verdant islands, and hills. Located about a mile northwest of the ancient city of Dali, The Three Pagodas are one of the best preserved Buddhist structures in China having endured several man-made and natural catastrophes. The middle pagoda, built during 824-840 AD by King Quan Fengyou, is 69.6 meters (227 feet) high and is one of the tallest pagodas in China. This list can go on and on, it is impossible to list all the amazing historical and beautiful places that China has to offer. Nothing will beat your own research before you travel. Once you're in China, we recommend flights for longer distance travel to south-western and north-western China and parts of central China. But a recent development is that China's new bullet trains allow travel to many cities in the central, eastern and north-eastern areas that is fast, convenient and economical. Cruise boat is a relaxing and popular alternative. 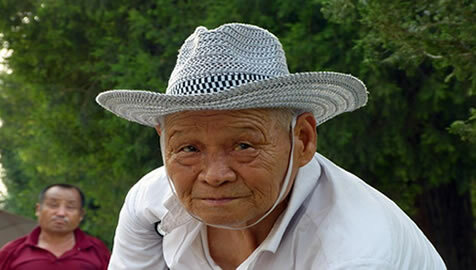 Travelling by train is one of the cheapest ways to travel on some of the long distance routes in China, and it is popular with the local population. In general, we recommend that tourists would benefit from taking bullet trains where possible and only taking the slower regular trains to save money if you have the time to travel or the interest. See Out of the Ordinary Trains below for special interest trains. For travel where there are no very fast G trains, such as out west, to the northwest, or to the southwest and Tibet, taking a flight is the fastest way. Taking a domestic flight is simple and convenient. Almost all towns, counties, and cities are accessible by highway, and buses can take you almost anywhere. Highway construction is actually intensifying in 2016. Are usually very good, but be prepared that in remote areas such as Guizhou, Tibet and Xinjiang, the roads might be poor. It is suggested that travellers lower their expectations for facilities or comfort in these areas. Getting a tourist visa is relatively easy now, although it can be complicated depending where you are applying from. Best advice is to contact the Chinese embassy in your country for full details and get to see China as soon as possible.